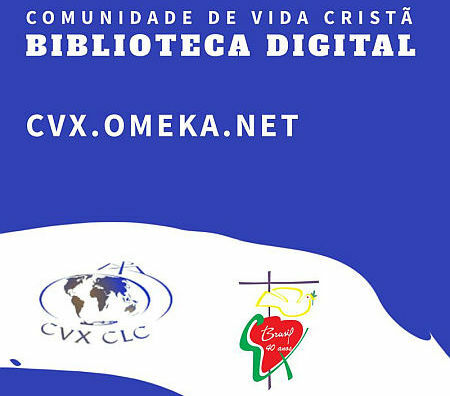 The CVX Digital Library is a service for the entire World Community. CLC members from other languages who wish to collaborate with this service are welcome. CVX Digital Library wishes to collaborate with the dissemination of support material, training and information on the CLC's dimensions. Help sharing and collaborating with this initiative! 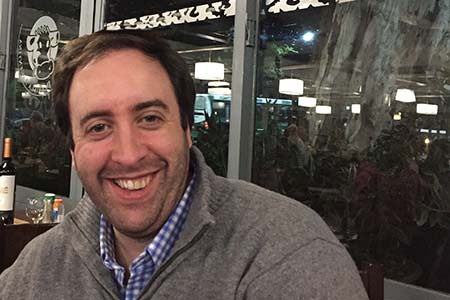 With great joy, we wish to share with you that Manuel Martinez, from the CLC in Uruguay, has been chosen to be the next Executive Secretary of the Christian Life Community. He will assume his position as an appointed member of the World ExCo and as Executive Secretary before 2019 ends. Our apostolic fellowship with the Society of Jesus continues to be a special gift in our Kairos moment in the Church and the world. It is a gift that intertwines and moves into common and diverse paths, in the service of Missio Dei. 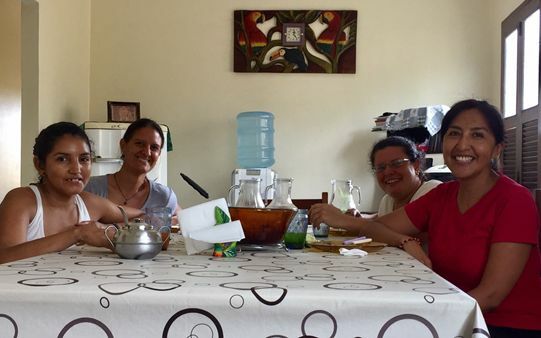 With joy, we share with you their Universal Apostolic Preferences (1- the Spiritual Exercises and discernment, 2- Walking with the Excluded, 3- Journeying with Youth, and 4- Care of our Common Home). May these be an inspiration for us, signifying that an ever deeper growth in one’s charism can lead to ever deeper growth in response. And may it be so for our own journey as a lay Ignatian apostolic body. 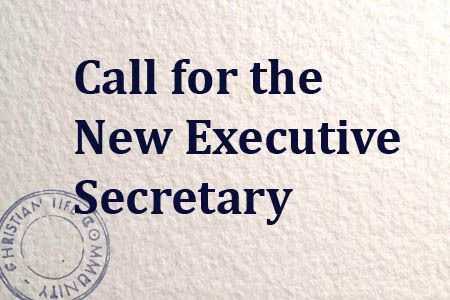 We would like to invite you to accompany the World ExCo and the national communities as we continue to search for members who are willing to take on the position of CVX-CLC Executive Secretary. Feel free to contact your national teams and executive councils if you wish to know more about the search and application processes. 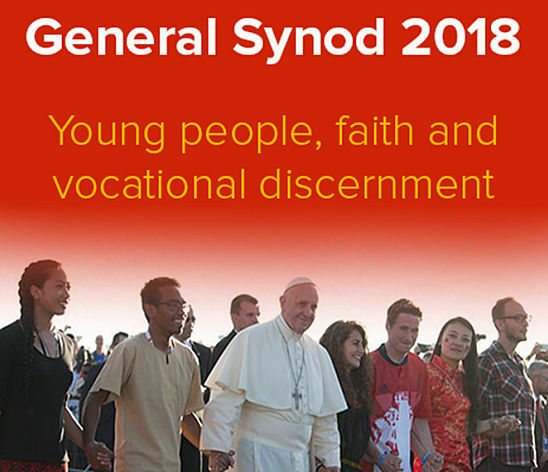 As you know, an important event is taking place in the Church from October 3 to 28, 2018: the Synod on Youth, which theme is: Youth, Faith and Vocational Discernment. Let us pray especially for the youth at this time, and for the Synod Fathers, asking the Holy Spirit to guide them in their reflections and decisions. 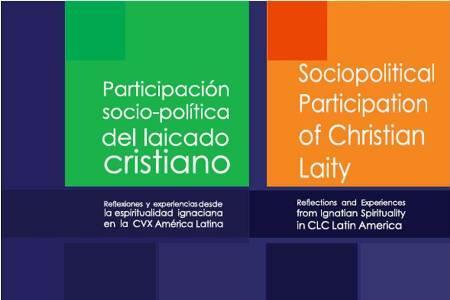 The Dicastery for the Laity, Family and Life has published the contributions of associations, and lay movements during the Annual Meeting of Associations, Ecclesial Movements and Youth Communities, last June 2018. 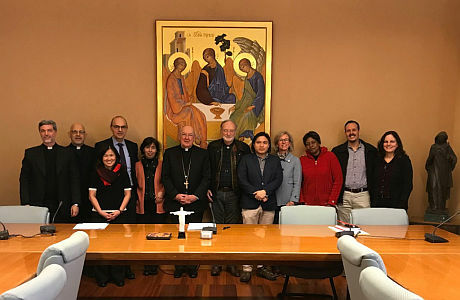 During this meeting, the nearly 50 ecclesial groups convened reflected on the theme of the next Synod of Bishops: “Young People, the Faith and Vocational Discernment"
Alwin and Rojean Macalalad attended for the Christian Life Community. We are pleased to announce the last issue of Progressio (1-2018): Glimpses for Contemplating an Apostolic Body. You can download it from here, free to share. 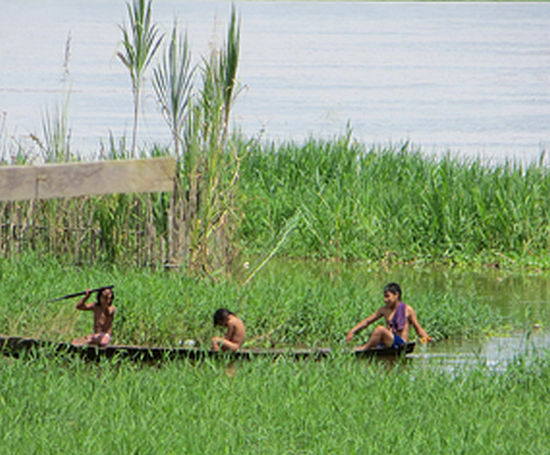 The wishes and hopes of ARUPÁ, in this time of preparation of the 2018 World Assembly. HELPING WITH TRANSLATIONS ONLINE DURING THE WORLD ASSEMBLY. 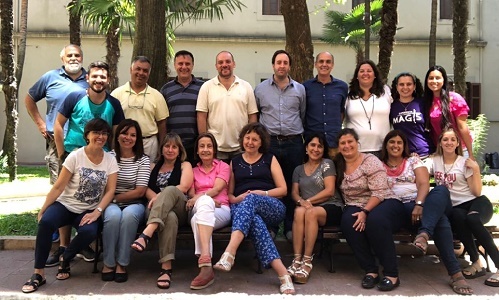 As we get ready for our next World Assembly in Buenos Aires, Argentina, we’re looking for volunteers to join our team of translators, the Language Support Team. 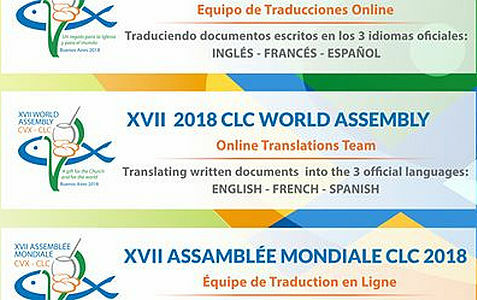 Our team will work online (from your own home), translating all documents needed during the Assembly. Thus the communal discernment of the team became the communal discernment of the whole community, which inspired and encouraged each member to think about what they could do in their place. 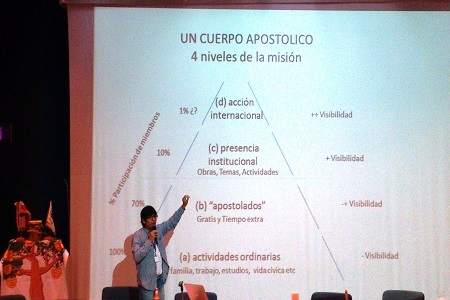 ESDAC means Exercises for Spiritual Discernment on Apostolate in Common. It consists of facilitators who use the discernment process inspired by St. Ignatius of Loyola to reach different groups of people. 01 March 2018. Meeting of the World Executive Council with the Dicastery for Laity, Family, and Life represented by Prefect Kevin Farrell, Secretary Alexandre Awi Mello, and Undersecretary Linda Ghisoni. 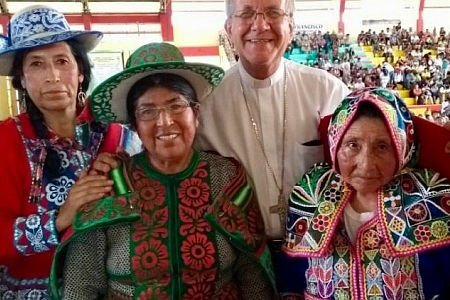 We are delighted to share the news that Pope Francis has just appointed Mauricio Lopez, our beloved President of World CLC, to the Council which will prepare for the Synod on the Amazon! 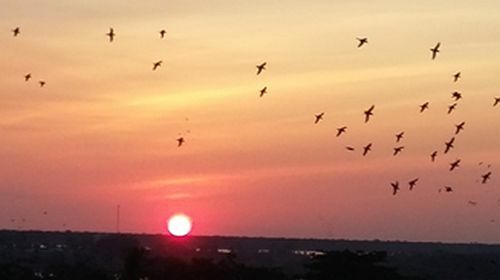 Please join us in our prayer and support for this important work on addressing the very urgent needs of the people and the land of the Amazon! We are pleased to announce Progressio Supplement #73: The International Formation Encounter (IFE) on Family. In it you will find all the presentations and reflection of the IFE on Family, held in Madrid, Spain last July 2017. 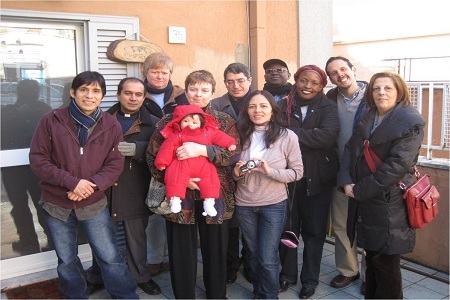 The IFE on Family was a partnership between the CLC World Executive Council and Comillas Pontifical University of Madrid. Bearing the theme of: “See how they love one another”. 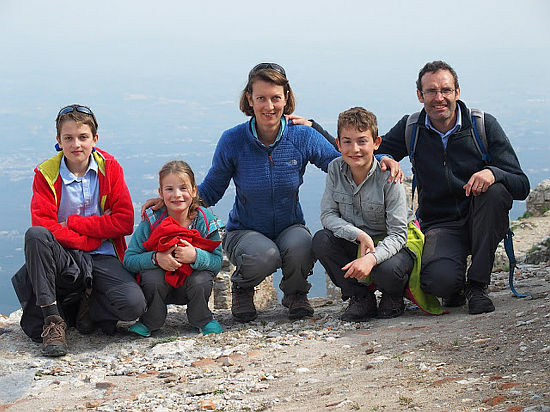 A lay Ignatian look at Family In response to the call for a new family pastoral in Amoris Laetitia. We now share with you the stories and graces of the encounter. We hope that you find this useful and meaningful as you respond to call of Amoris Laetitia. We encourage you to share this to persons and groups who can draw inspiration from it. For feedback (comments, questions, reflections, requests) email us through progressio@cvx-clc.net. We always appreciate hearing from you! The World Executive Council meets in Rome on February 24-March 4, 2018. Be with us in prayer as we review how the Spirit has moved through our term and we prepare for the upcoming World Assembly in Buenos Aires! With great sorrow we announce the departure, at the age 30, to Our Father’s Home of Cecilia Roselli, a member of the Getsemani community. 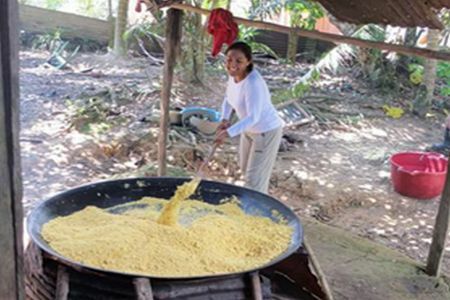 Cecilia was a member of Christian Life Community since 2007, making her commitment in 2012. During those ten years she actively participated in the life of her community and carried out with great commitment her service to the National Community. She served as an advisor to and a member the National Executive Council. 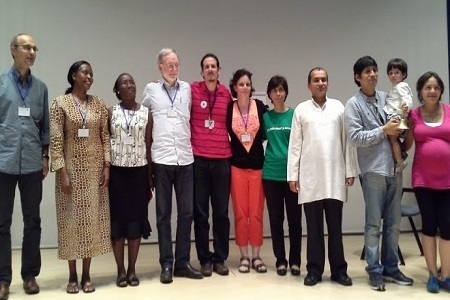 At the time of her death she was the representative of CVX Uruguay on the organizing team of the next World Assembly. Her co-members will always remember her warmth and her smile, as well as her commitment and generous dedication. With her life, Checha showed us that difficulties and failures can be lived through with strength, joy and optimism, and that with Him by our side the burden is lightened (Mt. 11, 28-30). We remember her for her great kindness, and although we are saddened by her departure, we thank God for having been privileged to journey with her these years and for the fruits of her life that will continue to mature in us. 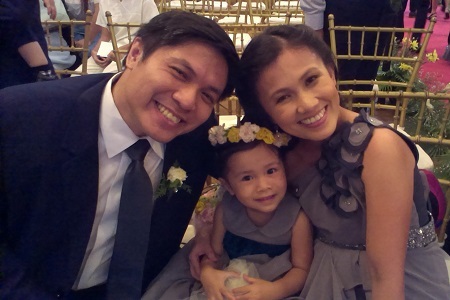 We ask the Lord to receive her with the same smile that Cecilia showed us, and that eternal light may shine upon her. On April 30 2015, Pope Francis held an audience with CLC Italy-League of Missionary Students on the occasion of their National Assembly. Some 5,000 peo- ple- CLC members (from Italy, Syria & Lebanon, and parts of Europe) and friends from the Ignatian family met with the pope in the Pope Paul VI Audience Hall. 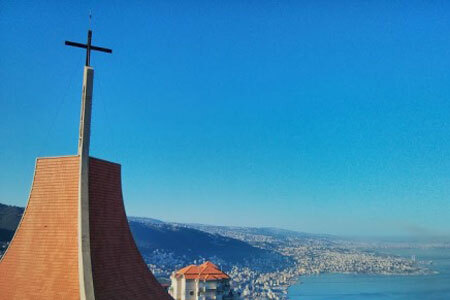 In Projects 169, Herminio Rico SJ, Ann Marie Brennan, and Najat Sayegh bring us into a deeper reflection of what our 50 years as CLC mean, in the light of this moment in the Church and in the world as well as our future mission. We ask that you bring this into your reflections and celebrations for World CLC Day 2018. But, can a catholic do politics? He must!B ut, can a catholic makea political commitment? He must! 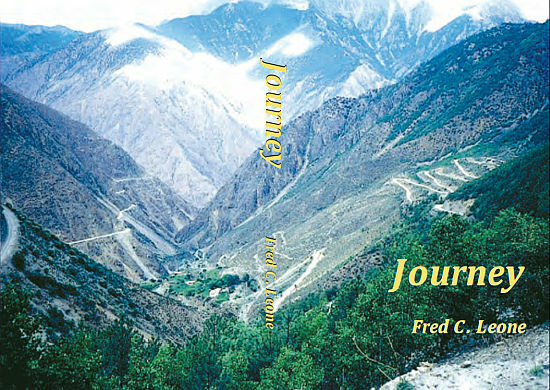 ‘The	journey’ is a perfect	image for	life in general. We are always moving; we have a past we can refer to, but we are not now where we were then. And we have a future we look forward to, but we won’t necessarily be where we are now. Once upon a time, there was a beautiful girl so overcome by her devotion to the moon, that she wished to ascend to the heavens, and be turned into a star. She decided to wander the highest peaks and mountains, until her dream could be magically realized. 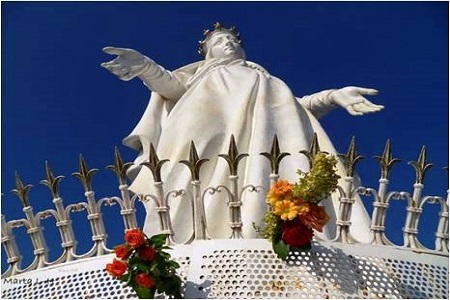 - Read Najat Sayegh's official letter through the link below! Fall in love, stay in love; it will decide everything. These famous words of Pedro Arrupe beckon us to the core of our lives as Christians – a deep personal love for Jesus. I was privileged to meet so many CLC members whose lives are marked by this love. Our celebration will be marked not by frantic activity, but with a united and deliberate relishing and reflection, which will culminate in the 2018 World Assembly in Buenos Aires. Many of you have already begun it. From here onwards until July 2018, we’ll journey closer together! We need always to descend to the bottom to discover there a new source of energy, to renew the life spent, and refresh the dry life. The transforming force is not found at the surface in which we live but rather in the depths. 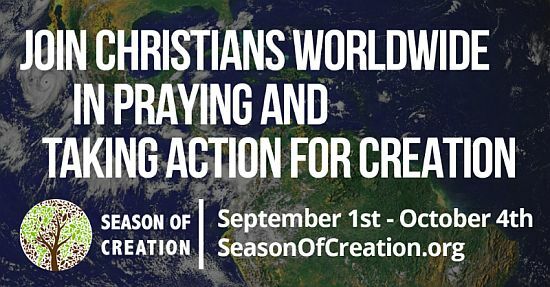 Mauricio Lopez and Ann Marie Brennan invite you to participate in the upcoming Season of Creation 2017. There are various initiatives available for everyone, which you will find in the attached letter. The Season of Creation is from 1 September until 4 October 2017. One year before our Buenos Aires Assembly! 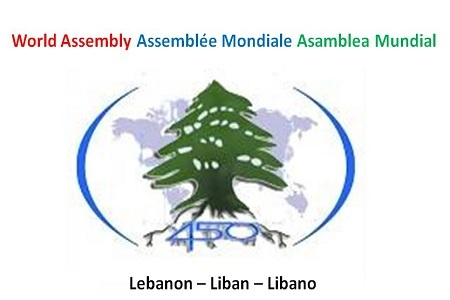 We continue our preparations by remembering the 2013 Lebanon Assembly. How far have we gone, CLC? 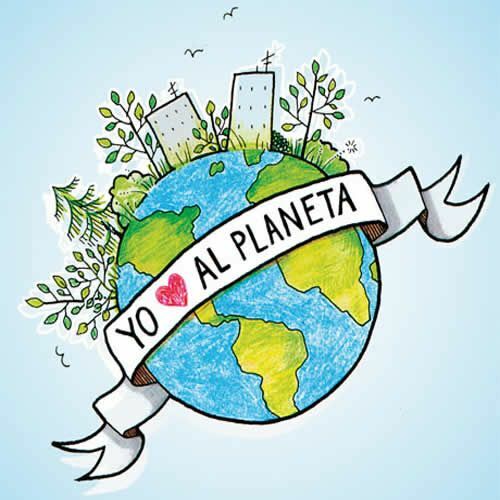 CLC Zaragoza in Spain has launched an introductory Ecology and Social Justice program for CLC members in light of the encyclical Laudato Si of Pope Francis. It is designed to be completed in just three meetings, but it can also be done in one day. The International Formation Encounter on Family (IFE) is set to take place in Madrid, Spain from 17 to 20 July 2017. “See how they love one another”. 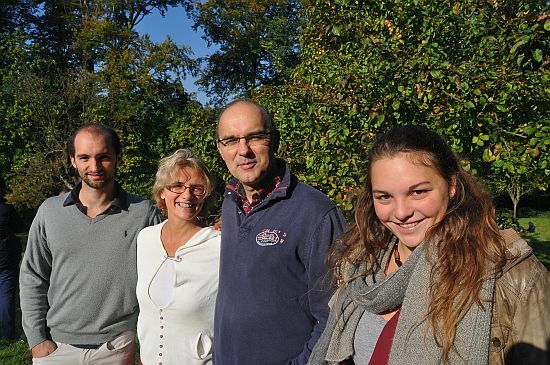 A lay Ignatian look at Family. In response to the call for a new family pastoral in Amoris Laetitia. 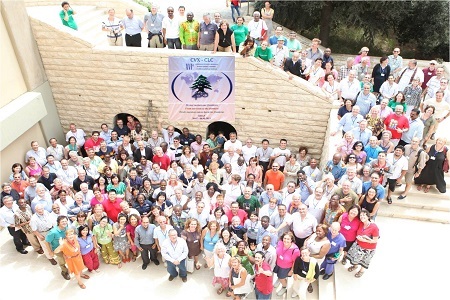 Participants of the encounter are CLC members from 29 national communities, from six CLC Regions (Africa, Asia-Pacific, Europe, Latin America, Middle East, and North America). 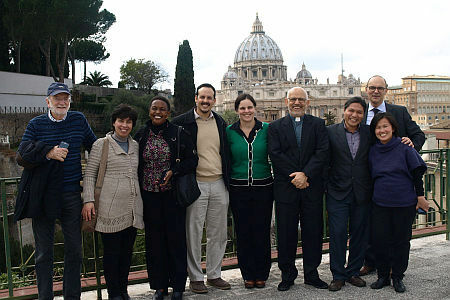 The IFE on Family is a partnership between the CLC World Executive Council and Comillas Pontifical University of Madrid. 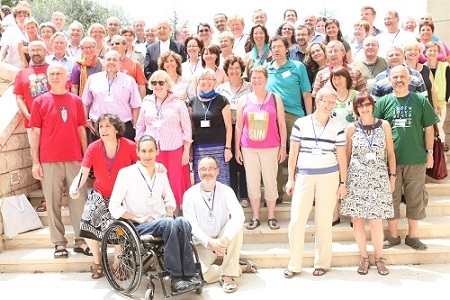 We are grateful to CLC Spain Executive Council and the national community for their generosity in welcoming us! Meet the ExCo: Who are you, Denis? I grew up in a family where love is stronger than the wounds of life. 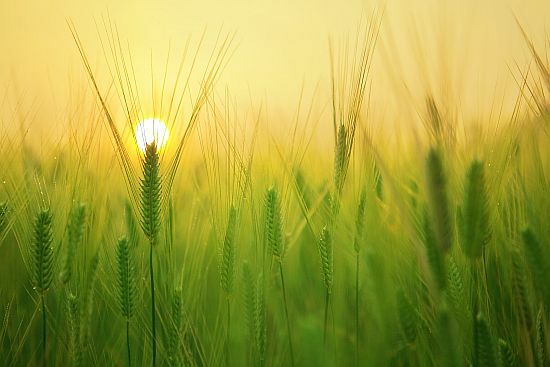 At the heart of the Encyclical’s proposal is an integral ecology as a new paradigm of justice, an ecology "which respects our unique place as human beings in this world and our relationship to our surroundings" (LS. #15). Because we cannot understand nature as “something separate from ourselves or as a mere setting in which we live” (LS. #139). 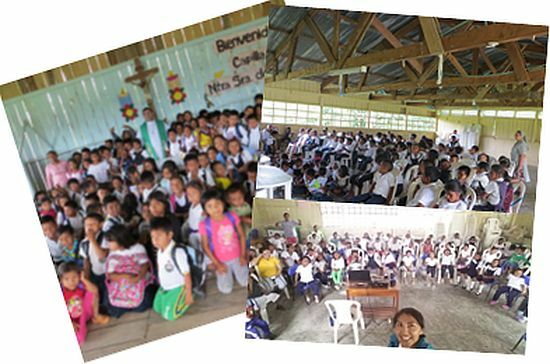 So the mission of CLC, is first of all, to live the light of the gospel in those “places and circumstances” where only I, if I am a lay person, can make my contribution. 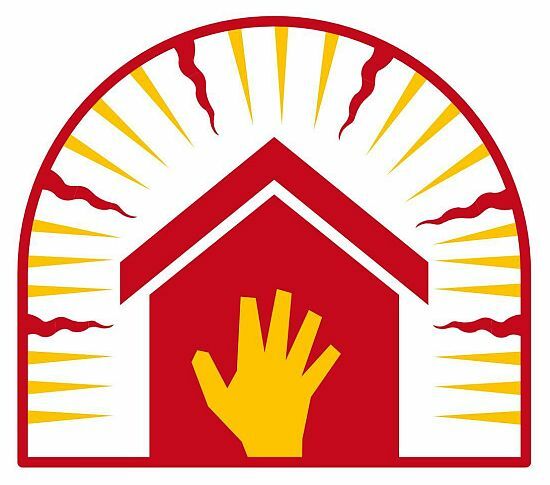 "I encourage all those who are committed to helping men, women and children enslaved, exploited, abused as tools of labor or pleasure and often tortured and mutilated." When God asked Cain: Where is your brother? God wanted to awaken in Cain his brother’s image, but then Cain answered: am I my brother’s keeper? At that moment, he killed his brother again by his apathy and deafness and became the first isolated, strange, homeless refugee human being in the world. Mauricio Lopez and Luke Rodrigues SJ reiterate this important moment for caring for the Earth, our common home. 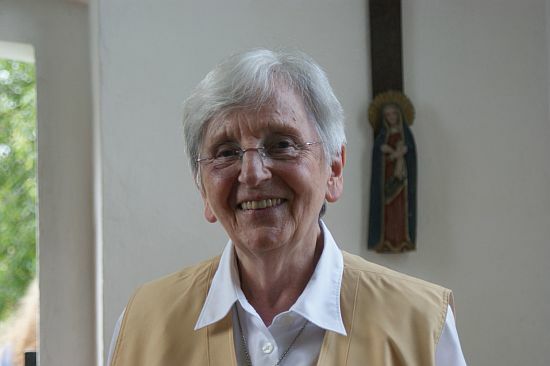 It is with deep sympathies that we bring news of the passing of Hildegard Ehrtmann. She was 86 years old. Hildegard served the World Community as Secretary from 1973 to 1976, and as Vice President from 1976 to 1979. In Germany and beyond, she was a key person for promoting the transition from Marian Congregation to Christian Life Community. She encouraged for renewal, and re-discovering the roots of our community, especially the Ignatian Spirituality and the Spiritual Exercises. We are sad with her passing, but we are grateful for Hildegard’s life and her unique engagement for CLC. Let us spend a moment of silence in thanksgiving for the gifts that she brought to our community – and pray that we may continue to flourish these gifts as we move forward into the future. Environment as Relationship- How are we moving? We would like to share with you Fr. 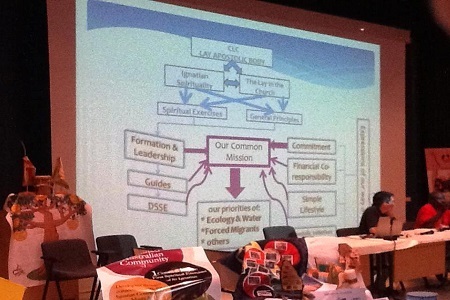 Pedro Walpole SJ's presentation: Environment as Relationship- How are we moving. It was originally shared with CLC Melbourne and presented to the CLC Ecology Commission online. If I could use one word to speak about how I have seen my role as EA, it would be “facilitator”. 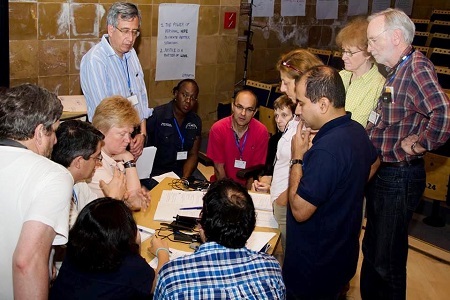 I see facilitation as bringing out the best in persons, in organizations and in situations. 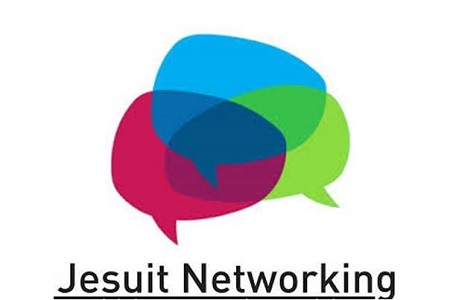 Through the survey, the Society of Jesus would like to "deepen on the insights from the General Congregation 36, (and) ... understand attitudes and behaviors regarding Jesuit Networking and Collaboration. 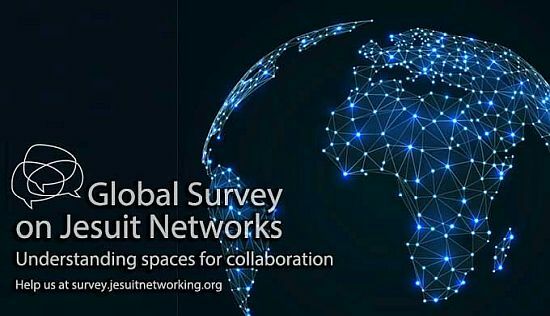 The idea is to reach out to Jesuits, collaborators and the wider community of Jesuit friends and alumni, for a better understanding of the meaning and possibilities of collaboration globally"
It's also important to have members of the CLC to give input, insight, even feedback on collaboration. Let's help our friends explore the meaning and possibilities partnership. A new year begins and with it new blank pages on which more stories of this small pilgrimage in this corner of our beloved Amazon will be penned. 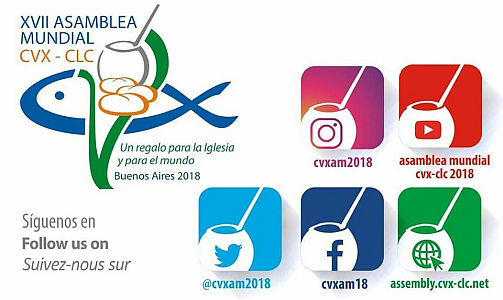 Convocation to the Buenos Aires 2018 World Assembly, July 22 to 31, 2018. 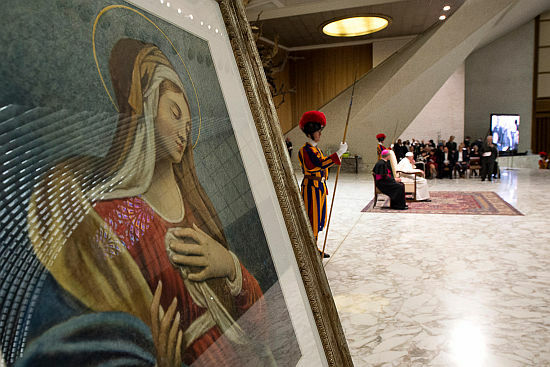 The theme: "CLC, a gift for the Church and the world"
...we were all invited, individually and collectively, to “travel with Jesus in the trail of the Samaritan woman,” as at the wells of the Gospel. 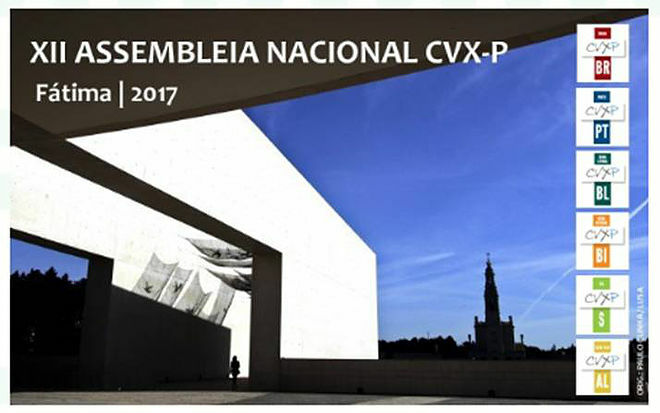 It will be a special moment for Portuguese CLC, as around 200 Delegates and Staff will be together to choose (amongst other things) a new National Team and discern about our mission for the next 3 years: “To Care For and Send” is our motto, as we will be looking at our community and to those that address us (To Care For) in order to better collaborate with the Lord in building His Kingdom in whatever mission inspired by Him (Send)! See you all at www.an2017.org! 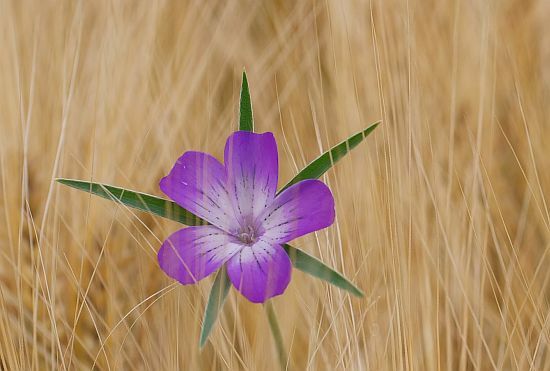 "For me, a spiritual man or woman is one who lives in depth, who assumes options worthy of a human life. Be consistent, be open to the needs of others. Celebrate life." 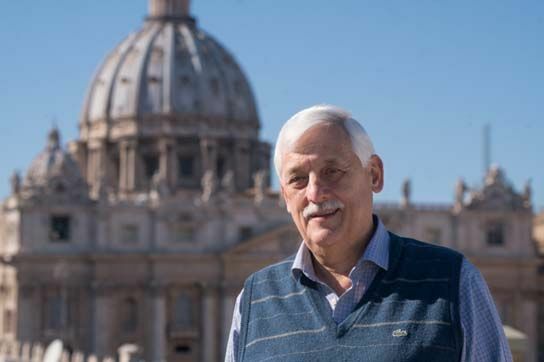 Fr Arturo Sosa SJ, Superior General of the Society of Jesus, has been appointed by the Holy See, through the Dicastery for Laity, Family and Life as World Christian Life Community Ecclesiastical Assistant. He assumes this role after Fr. Adolfo Nicolas SJ. 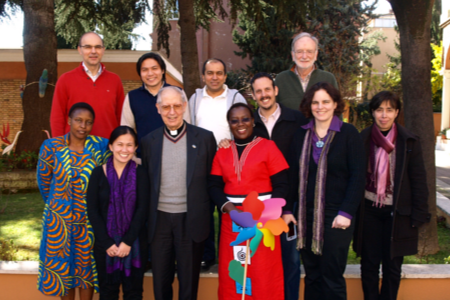 In this capacity, becomes a member of the World Executive Council of the Christian Life Community-- Welcome Fr Arturo Sosa! 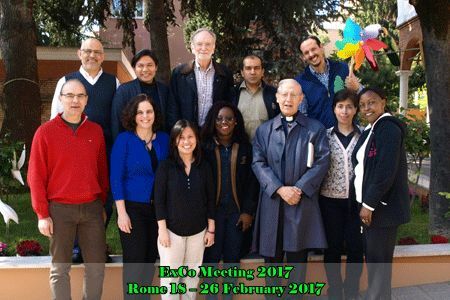 The World Executive Council meets in Rome on February 18-26, 2017. 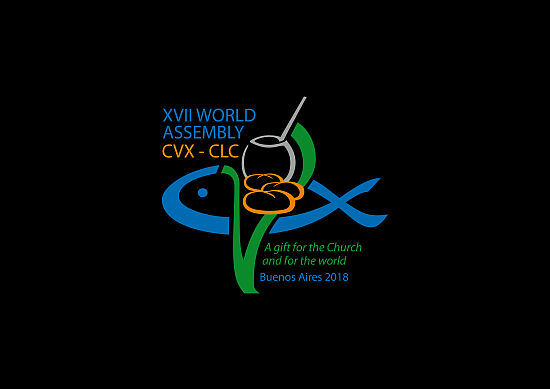 Be with us in prayer as we prepare for the upcoming 50th year of CLC and the 2018 World Assembly in Buenos Aires! The CLC World ExCo (Chris Hogan, Alwin Macalalad, Rojean Macalalad, Herminio Rico SJ) bids farewell to former Jesuit General and World CLC Ecclesiastical Assistant, Fr Adolfo Nicolas SJ. He has now returned to the Philippines for the next phase of his mission. Thank you Fr. Nicolas! The problem of my brotherhood, if I really am the brother of all men, is not how I feel in my heart, but the real problem is that others can feel themselves as my brothers when they come across of me. This is where fraternity comes into play: what does it matter to the other that I in my "little heart" feel like brother, if he sees me as a hedgehog? 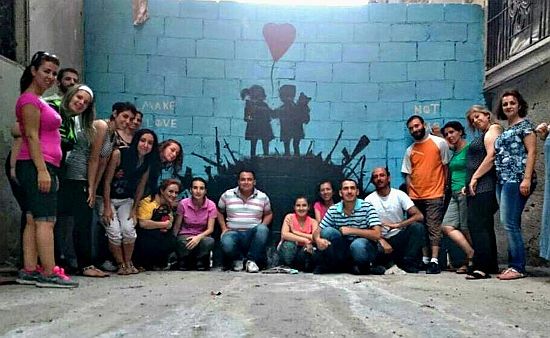 "Look around you, give thanks, feel indignant of the situations of injustice, exclusion and poverty, but above all find out how you can engage and contribute in a small way to transform those situations that do nothing but widen the gap between rich and poor, situations that increase the destruction of our common home." 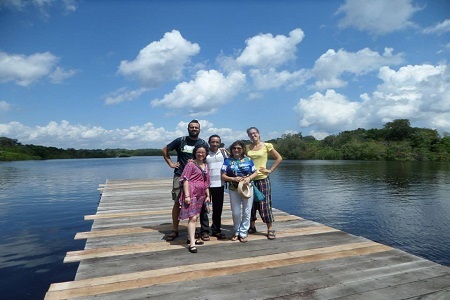 "I must descend to the bottom of my heart and, of course, this scares me, since it is not easy to face my fears, desires, emptiness, questions..."
Lorena Perez (CVX Ecuador), or Lore, currently works as the volunteer for the Amazon Project. 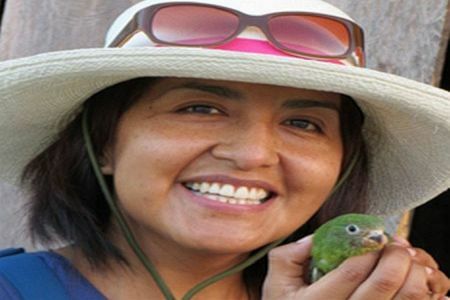 She shares with us her monthly reflections on her life and work as a way to unite with the world community's mission in the ecology frontier. "Each face reflects a light and shadow, each carries a dream. They all have a unique way of looking after this earth and being at one with nature. 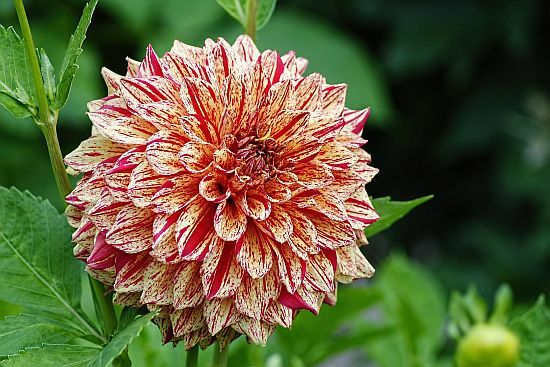 They know intuitively if a cloud means rain, or if it will soon pass over and be tossed away by the wind, like the leaves that flutter in the trees." We are pleased to bring you PROJECTS: World CLC Day 2017— Remembering. Kindly ensure that all individual communities and members are able to receive and find time to read this document. 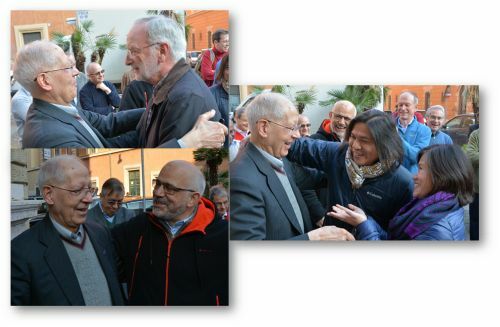 Friday December 2, World Secretariat, Rome- In a quiet celebration of the Eucharist, marked by a communal sharing in the light of the Gospel, Luke Rodrigues SJ officially handed over the role of Vice-Ecclesiastical Assistant of the World CLC to Herminio Rico SJ. It was followed by a shared meal, and a symbolic turnover of the original copy of ecclesial approval of the General Principles of 1990. Farewell and thanks, Luke! Welcome, Herminio! Fr. 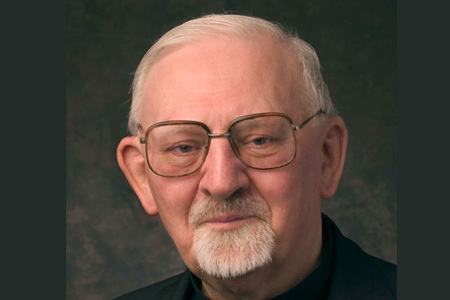 Peter-Hans Kolvenbach SJ, 29th Superior General of the Society of Jesus, passed away on November 26, 2016. Fr. 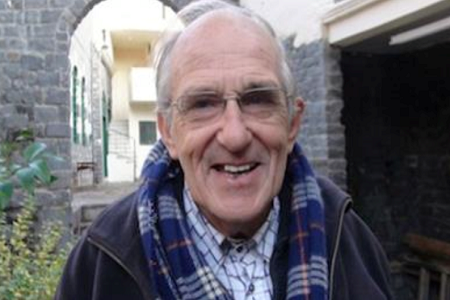 Kolvenbach was the World CLC Ecclesiastical Assistant (EA) from 1984 to 2008. Throughout his 24 years as our EA, he continuously reminded us of our deep heritage within the Church and the Ignatian tradition. 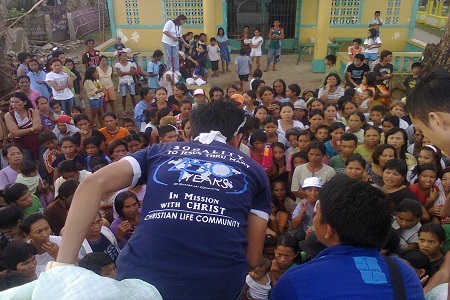 He reminded the Society of Jesus and CLC that working with each other enriches our mission. He believed that our being one world body was a manifestation of our communion with the Church. In this, we are united with him in prayer, and in gratitude for the life he has gifted us with. Rencontre avec Alwin Macalalad Dimanche 9/10/16, à Lausanne a eu lieu une rencontre avec le secrétaire exécutif de la CVX mondiale : Alwin Macalalad. Comme il assistait à un cours « art of hosting » près de Genève, il logeait chez Jurate Marclay, mariée en Suisse romande et ancienne présidente de Lituanie. 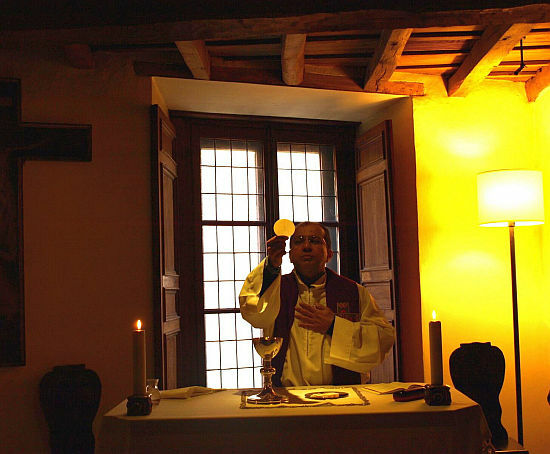 On a commencé notre rencontre dans la maison de Catherine Guerbet avec la prière. Le texte de Bible : La rencontre de la Samaritaine avec Jésus au puits de Jacob (Jn 4, 1- 43). Comme d'habitude chacun a partagé ce qui l'avait touché. Après le partage, Alwin a raconté les principales occupations de l' Ex Co (le groupe de service de CVX mondiale). 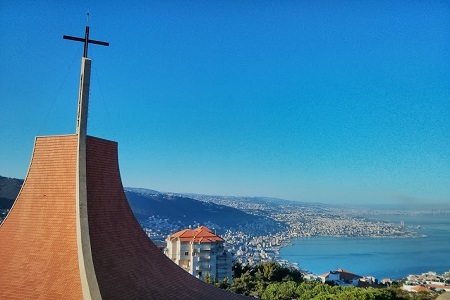 Après l'assemblée mondiale au Liban la CVX mondiale fut appelée à aller aux frontières. On sent, dit-il, qu'on est invité à élargir notre regard. CVX fait partie de la communauté humaine du monde entier. Il faut collaborer avec tous et pas qu'avec les chrétiens. On est une communauté de discernement. On sent qu'on a des choses à donner au monde. On est invité à travailler pour améliorer les conditions humaines. On est un corps apostolique. On doit encore apprendre le processus d'envoi et être actif dans des actions locales. Nous étions alors dix personnes de cinq nations. On entendait de la situation de la CVX aux Philippines, en Suisse et en Syrie. (Les françaises présentes et la Lituanienne font partie de la CVX Suisse.) Maha, membre de l’équipe à Alep, n’est que depuis 8 mois en Suisse. Elle fait partie maintenant de l’équipe à Lausanne. Lama, sa belle-sœur, depuis 20 ans en Suisse, est mariée à un valaisan. C’est surtout Maha Aleid qui nous a décrit la détresse en Syrie. Ils se sentent (en CVX) délaissés de tous, bien qu’ils fassent partie de la Communauté mondiale. Ça nous a profondément touchés. Seigneur, tu connais le cœur de tous les hommes. Tu connais tous les liens et cohésions. En regardant nos frères et sœurs en Syrie, nous nous sentons impuissants et démunis. La guerre ne veut pas prendre fin et les dons humanitaires arrivent difficilement chez le peuple en détresse. Même les hôpitaux sont agressés. Dans leur destin difficile, les hommes se sentent abandonnés. Avec eux tous nous crions vers Toi et demandons Ton Aide et Ta Miséricorde. Comme Communauté de Vie Chrétienne, montre-nous comment agir ici et maintenant envers nos frères et sœurs en Syrie, ainsi que dans les autres régions de crise, comme pour tant d’êtres humains fuyant leurs pays et pour ceux qui viennent d’arriver chez nous. Nous te rendons grâce pour ton Esprit qui nous guide, afin que de cette détresse terrible jaillisse une vie nouvelle. Amen. If you have time and capacity, you may wish to post the Spanish, English and local translations for their prayer chain here too. Thank you! 3. Discerning and thinking with the Church. 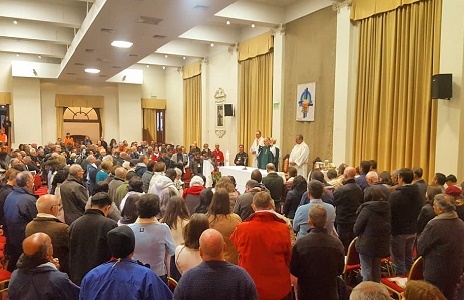 On Sunday October 2, the Jesuit General Congregation 36 has started with the celebration of the opening Mass in the Church of the Gesù in Rome.The 215 members have come from all over the world. 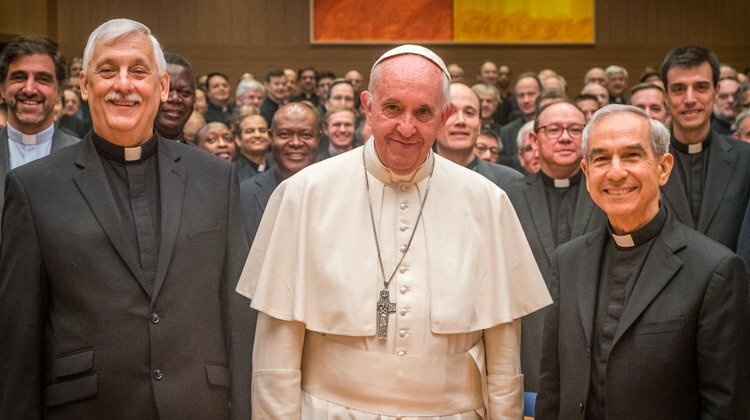 The Jesuit Conferences of different parts of the world have been involved in the preparation of the GC since the announcement made by Fr. General in December 2014. Fr. Jim Borbely S.J. 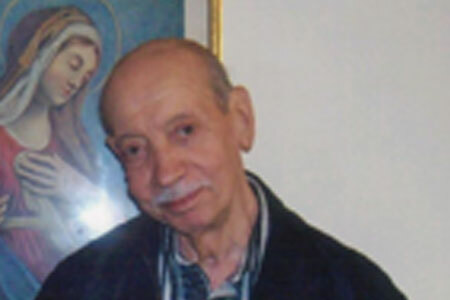 Ecclesial Assistant for CLC USA died on August 1st after a short illness. Please keep him and his family and friends in your prayers. 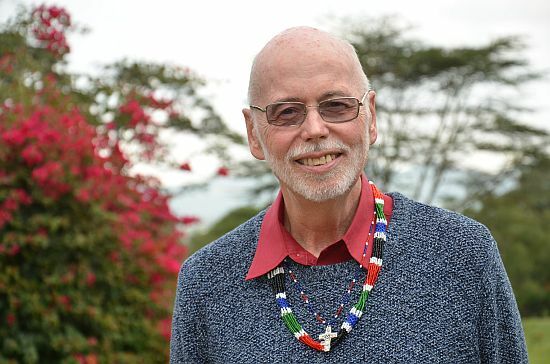 Father Jim’s experience with CLC included facilitating the discernment process at the World Assembly in Guadalajara Mexico in 1990 when Christian Life Community adopted the revised General Principles and General Norms. For years afterwards, he served as a consultant and resource person to CLC-USA as we sought ways – in our diversity – to grow into “one body” and to more effectively organize our national community for mission. 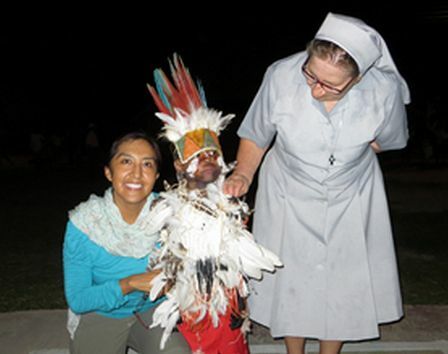 In 2012 he assumed the position of CLC-USA National Ecclesial Assistant. 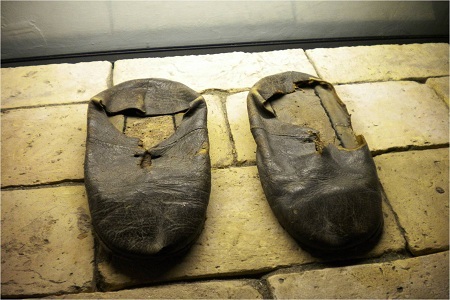 He served in this capacity until his death. We are grateful for Fr. Jim's gifts to our community, his deep insight into Ignatian group life and communal discernment and his commitment to CLC as a lay Ignatian body. 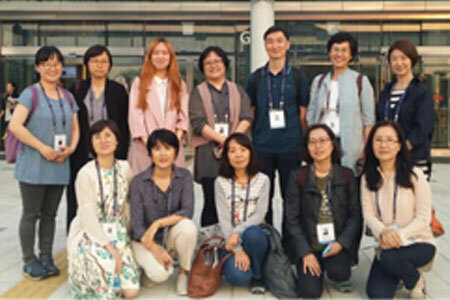 On behalf of our World CLC, CLC Korea joined the 66th UN DPI/ NGO Conference held in the Republic of Korea last May 30-June 1. They have valuable lessons to share for themselves, and our world community. You can download and read their report through the link below . 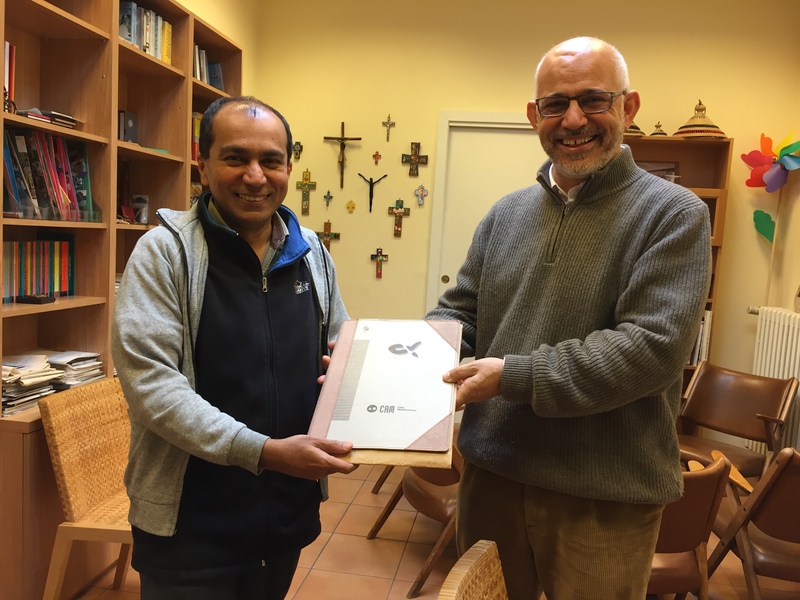 At the request of the Superior General of the Society of Jesus, a group of Jesuits involved in the Middle East wrote the following text. It is primarily a call to the conscience of everybody in the light of what many Christians are living today in the Middle East. May this text lead to exchanges and encourage all those who are concerned for the future of the peoples living in this region, to take concrete initiatives. 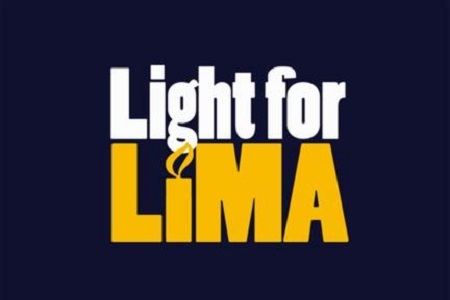 It is with deep sympathies that we bring news of the passing of Fred Leone. Fred and his wife Betty were instrumental CLC leaders in both the USA level, and the world community level, dedicating much effort during the transition period and in working towards CLC's NGO recognition in the United Nations. 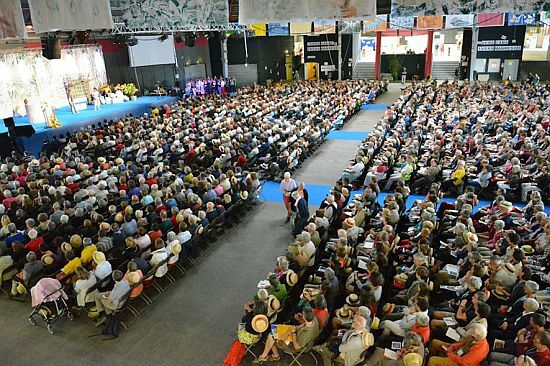 As National President of Sodalities in the USA in 1967, the national community's shift from Sodalities to the World Federation of CLCs became a reality during Fred's term of office. He served in the World ExCo as Vice President from 1970-76 and 1979-82. His 93 years of life was marked by a generous support for the community, and an emphasis on works for justice. Let us spend a moment of silence in thanksgiving for his life, and the life he has brought to our world community-- gifts that we shall continue to hold as we move forward into the future with hope. 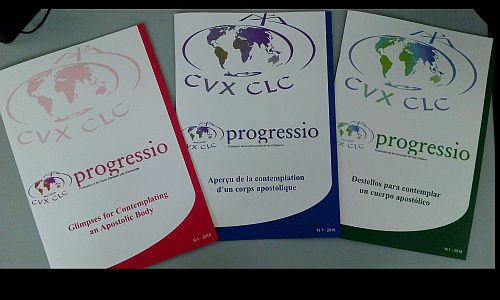 You can download recent versions of Progressio from the CVX-CLC website, free to share. "As members of CLC we are walkers, on a road that surpasses our limitations and our own strengths. Our journey is to follow Christ in the midst of our everyday reality, attentive to the very urgent cries of the most marginalized." 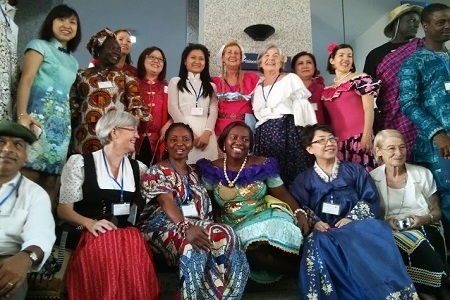 It is our joy to share with you our process and experiences during the last Annual World ExCo Meeting in Rome. Kindly ensure that all individual communities and members are able to receive and find time to read this document. We hope that you find this useful as you engage further the Ecology frontier. We encourage you to share this to persons and groups who can draw benefit from it. For feedback (comments, questions, reflections, requests) email us through progressio@cvx-clc.net. We always appreciate hearing from you! We are pleased to bring you Projects Projects 163: World CLC Day 2016. Kindly ensure that all individual communities and members are able to receive and find time to read this document. It is with great pleasure and thanksgiving that we announce the appointment of Fr. 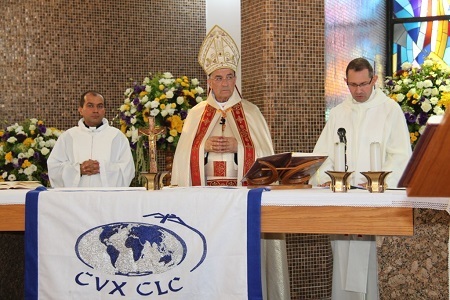 Herminio Rico, SJ as the new Vice Ecclesiastical Assistant for the World Christian Life Community. Fr. 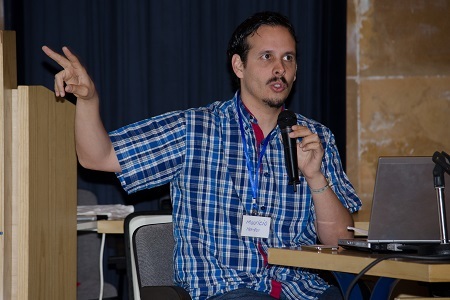 Rico had been long-time EA of CVX Portugal, and possesses a depth of experience in accompanying and working with the laity. We welcome him as he takes on the role in the last quarter of 2016. We are spending a final year with Fr. Luke Rodrigues, SJ as Vice EA, and we are grateful for this as well. Along with this, let us accompany the Society of Jesus in prayer and support, as they prepare for the upcoming 36th General Congregation. 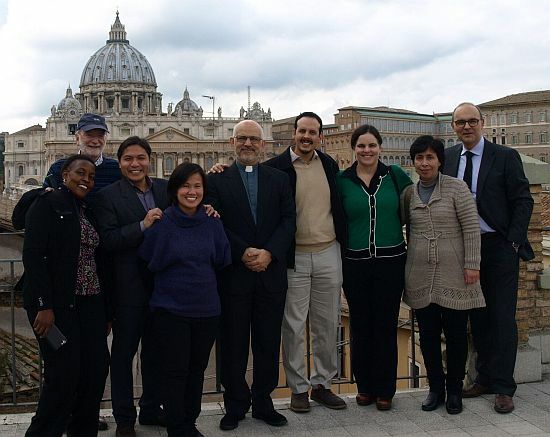 Our national communities have been initiating local efforts to respond to Laudato Si. 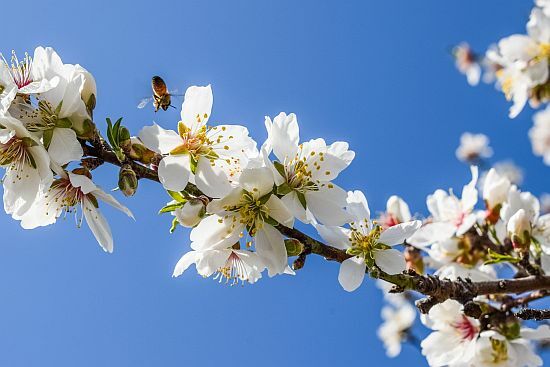 Much of the efforts have been in the form of prayer and reflection spaces; in others, National assemblies have focused on the theme of Ecology, and have produced some materials and action steps for national action. Local action continues to be relevant because these give the necessary contextual and cultural characteristics for effective action. This is currently our platform for united action. 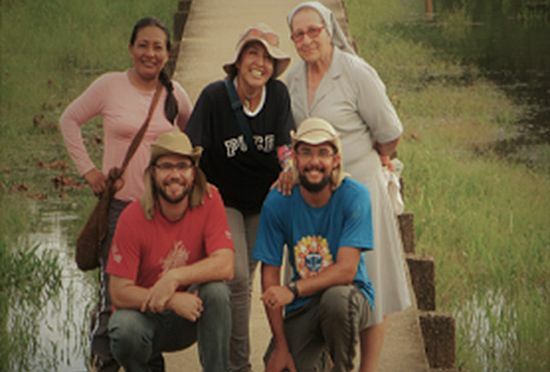 We strongly encourage you to link your CLC activities in the Ecology Frontier (whether it be vigils, advocacy letters and other apostolic action) with this in mind, and to register as CLC groups in their website: http://catholicclimatemovement.global/take-action/ . By doing this, we connect beyond our world CLC community and move closer to actual global common action. As local communities, we are encouraged to continue our locally discerned callings and responses to our Ecology Frontier. But know that we are part of a larger-spanning endeavor to care for our common home, through GCCM, and the larger human community. Let us continue to pray together for each other and our world. This is one of the foundations of how we can connect our apostolic efforts and learn from each others’ challenges. Let’s do this and submit by November 30, 2015. 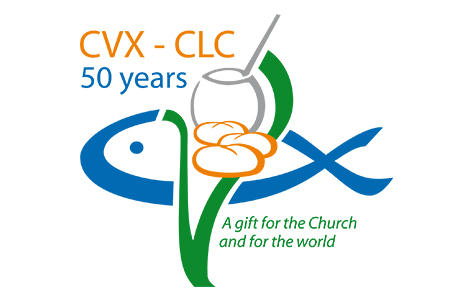 You can now download recent versions of Progressio from the CVX-CLC website, free to share. 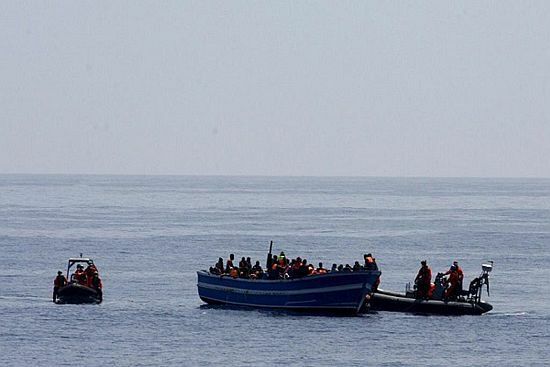 European CLC, CVX-LMS Italy and CLC Migration Network propose a permanent experiential camp in Sicily, alongside asylum seekers hosted in the reception centers of the "Saint John the Baptist" Foundation of Ragusa.  make those who work for justice do not feel alone. 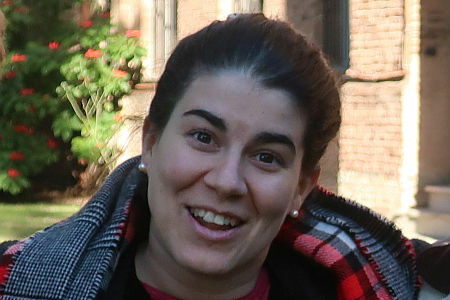 The experience is offered to young people, but not only, belonging to the European CLC or interested to get involved actively in the work with migrants. 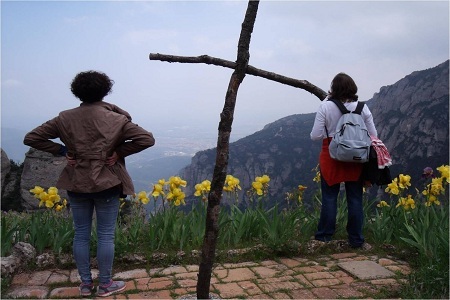 Laudato Sii - What struck you? > Quote it: What line or short paragraph struck you in your reading of Laudato Sii? > Share: Briefly explain or share how it struck you and why (feelings and thoughts). Post it in the CVX CLC Facebook Page or send it to progressio@cvx-clc.net along with your name and national community! A select number of sharings will be published in the next issue of Progressio. 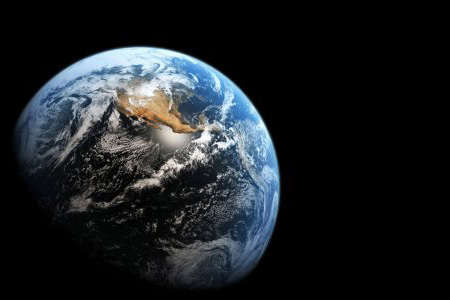 "Now, faced as we are with global environmental deterioration, I wish to address every person living on this planet. 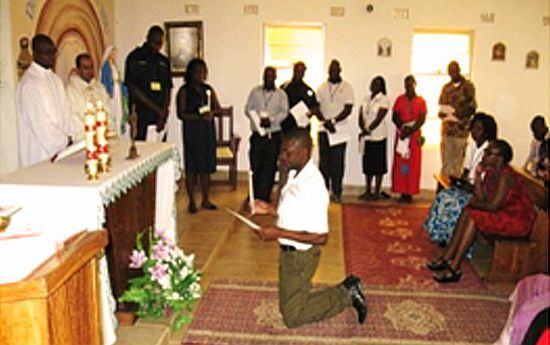 In my Apostolic Exhortation Evangelii Gaudium, I wrote to all the members of the Church with the aim of encouraging ongoing missionary renewal. 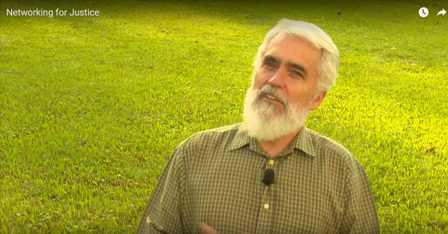 In this Encyclical, I would like to enter into dialogue with all people about our common home." 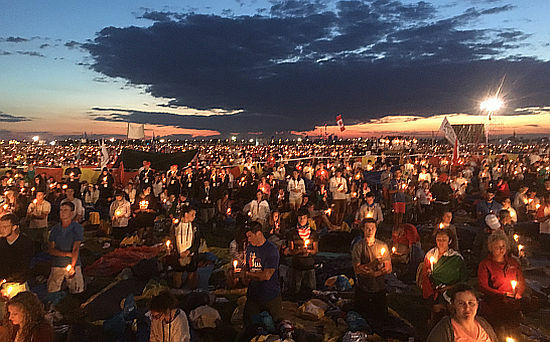 Because we will not be silent accomplices..
From the European Christian Life Community Migration Network: We would like to express our profound disagreement, frustration and sadness at the measures taken by European political leaders. 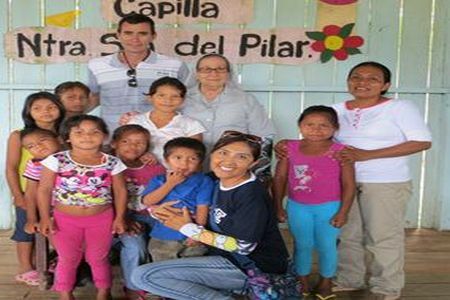 We want to share with you something that fills us with great joy not only as a national community CLC El Salvador. 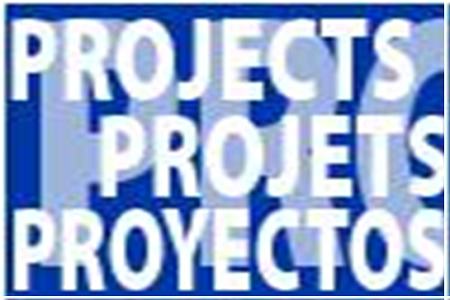 On Saturday May 23 will be the beatification of Archbishop Oscar Arnulfo Romero, Archbishop of San Salvador, who was murdered on March 24, 1980.."
We are pleased to bring you Projects 161: World ExCo Meeting 2015 . Kindly ensure that your community members get access to the document. Let us raise our voice for Climate Justice! 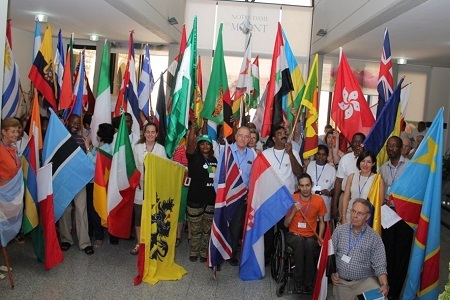 The World Executive Council will have its annual meeting in Rome from February 15-22. Join us with your prayers. visit the CLC page on Facebook! 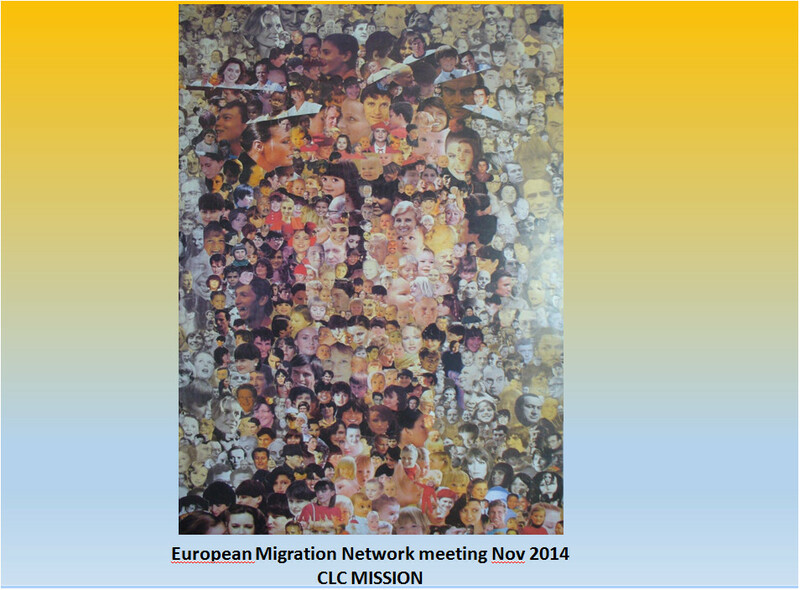 reflected on "Meeting and Welcoming the Roma” and on the future of the european migration network. 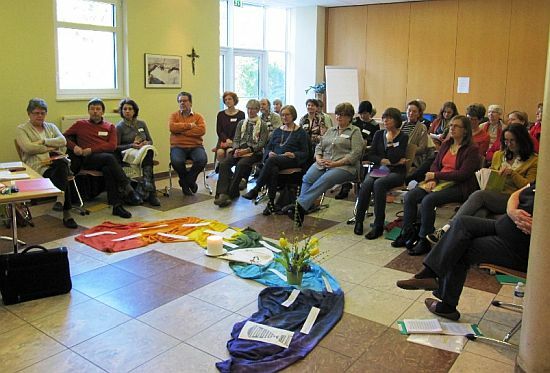 on our desires towards an active network, which will be led by CLC-Spain." 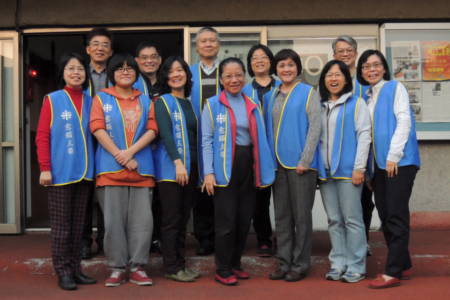 Let's keep the Asia-Pacific CLC in our prayers! Let's be with the Taiwan Host Team and the rest of the Asia-Pacific Region as they hold the Regional Assembly from January 29-February 1. 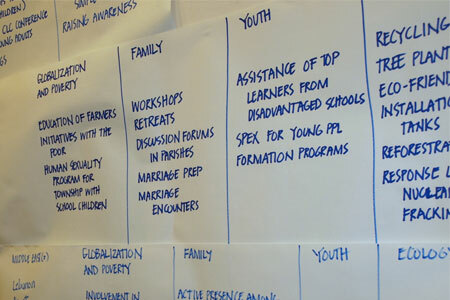 The assembly will focus on youth and formation for mission in the AP Region today. 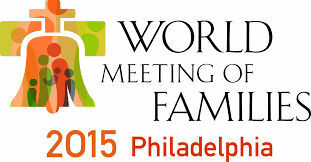 We are pleased to bring you Projects 161 with the theme for our 2015 World CLC Day: Family. Kindly ensure that your community members get access to the document. 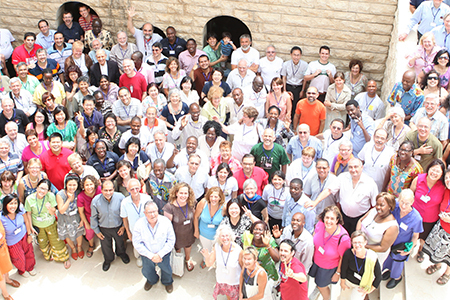 We invite you to join the the rest of the World Community, in the preparation for the 2015 Synod. 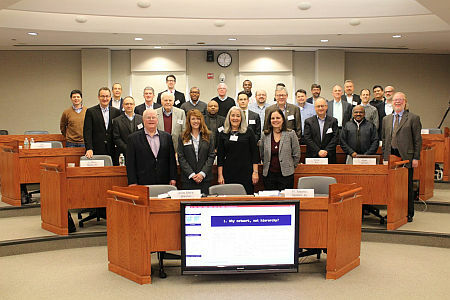 the World ExCo is pleased to introduce our progress on Wisdom Language. 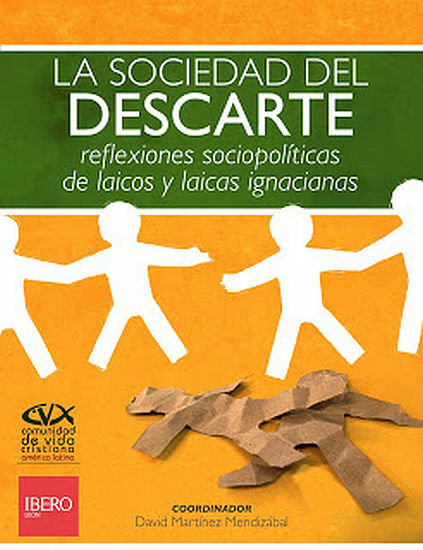 We invite you also to join us in the process to develop these ideas in your national community and in your local groups. 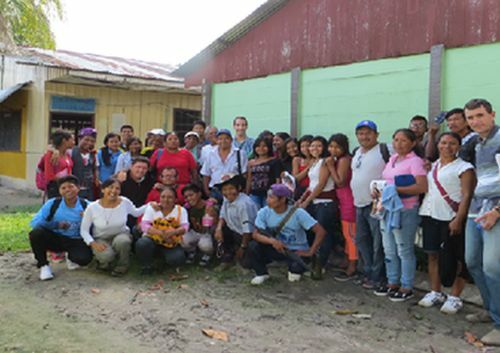 Since the end of May 2014 three members of CLC Latin America arrived in the heart of the Amazon forest. A new way to live the CLC as an apostolic body. 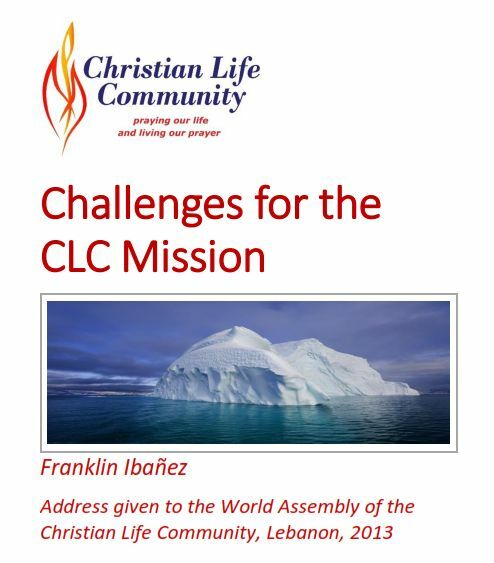 What is the CLC that the world needs? Report to inform CLC members what has been happening in the civil war in South Sudan and share life testimonies of CLCers during the crisis. CLC in Europe has drafted a letter to the prospective candidates for election to the European Parliament which will take place in May 2014 in all the countries that belong to the European Union. This letter sets out the concerns of CLC as a World/European Community with regard to issues that are of key importance to all the people living in Europe at this time (poverty, environment, migration, solidarity and diversity). 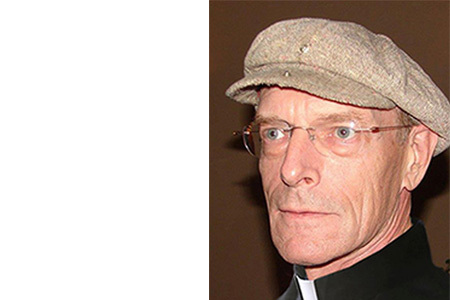 “Blessed are the peacemakers…” Father Frans was abducted by masked gunmen from the jesuit residence at Homs, in Syria, where he used to live, and was executed by gun shots. Despite the dangers, he had voluntarily decided to remain in the city of Homs in solidarity with the people who could not leave the city. 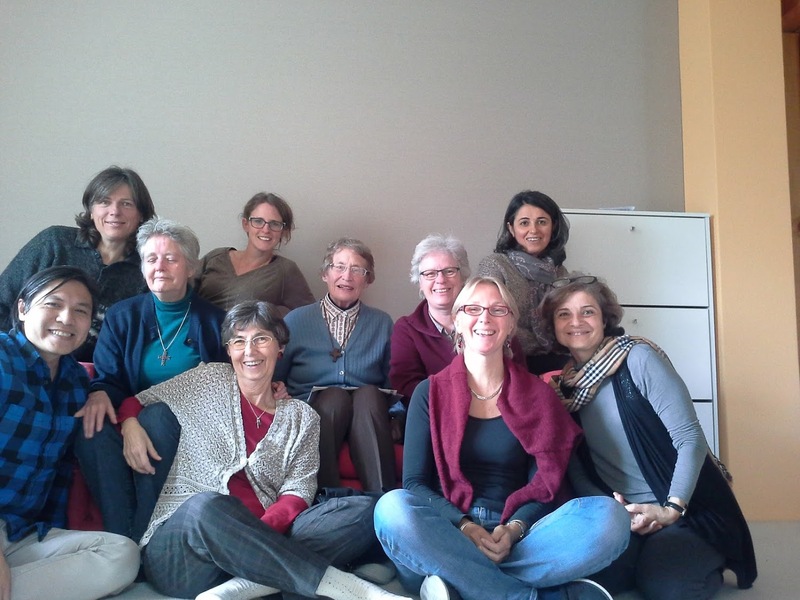 From February 15th to 23th in Rome the new world ExCo will have its first meeting. After a long process of deliberation and discernment, The ExCo has selected a new Executive Secretary for World CLC. The couple selected for this post are Alwin and Rojean Macalalad, from the Philippines. We also express our heartfelt thanks to the current Executive Secretary, Franklin Ibáñez and Sofía Montañez who will continue in office till the new couple arrives and officially takes over. CLC Philippines is officially supporting the rehabilitation efforts in Daanbantayan—a small fishing village north of Cebu that was severely affected by Typhoon Haiyan but which has not received as much attention. 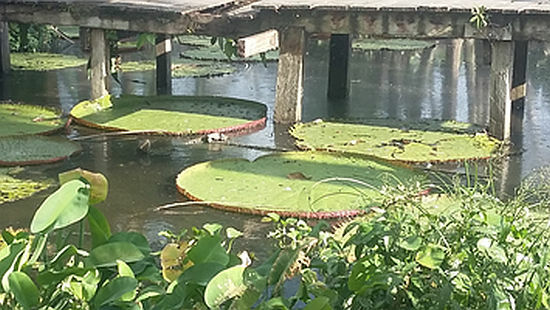 This effort seeks to enable the village to recover fishing boats for livelihood, roofing for public schools and the establishment of a community center. 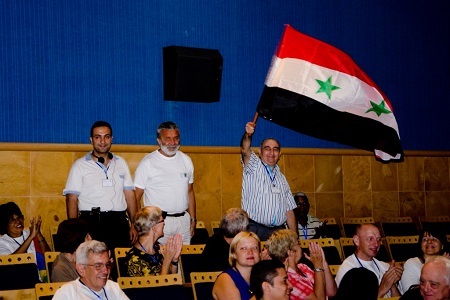 Our world CLC community is deeply concerned about the urgent situation in Syria. Medals made in Syria for the celebration of the 450th anniversary. These medals not only have a symbolic value but also a moral value as they represent the pain and suffering of the Syrian people who have been subjected to hate, terror and death. “To deepen our self-understanding as Lay Apostolic Body (LAB)”. 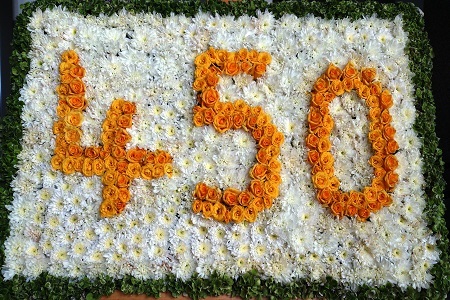 “A grateful remembrance of our roots and how we have been guided over the centuries”. In 1556 Jean Leunis’ made a pilgrimage, from Liege (Belgium) to Rome (Italy), to meet Saint Ignatius and join the Society of Jesus. Six years later in Rome Leunis founded “Prima Primaria”, which was the origin of Sodality of our Lady and CLC. 450 years later our pilgrimage will be done to emulate Leunis’ journey to the foundation of what we may call, the lay companions. The aim of this project is one of creating long term institutional stability in the world CLC community in order to act more efficiently as an apostolic body. 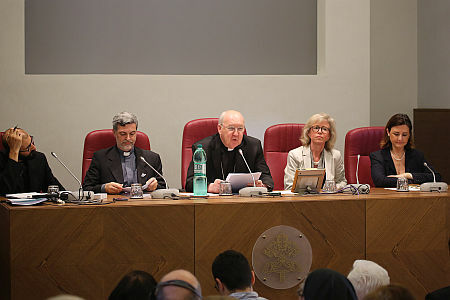 On Tuesday, 27 March 2012, Fr. General and his Council met with some members of the Executive Council (ExCo) of CLC. The purpose of this meeting was to explore how these two Ignatian bodies in the Church could continue their close collaboration. There was exchange of gratitude and appreciation for the constant support to one another. 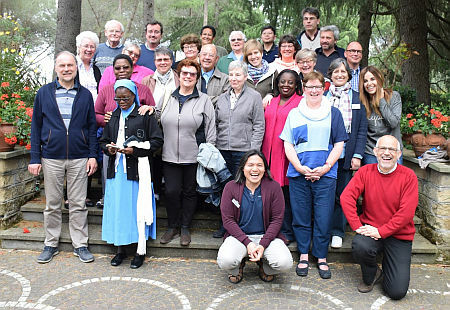 Then the members of the meeting looked into the various dimensions through which CLC, as a Lay Apostolic Body, could carry the Ignatian charism into all the areas such as their daily life, apostolic involvement, and responsibility for institutional works. 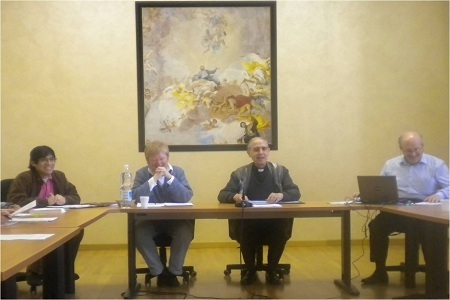 Final discussion was on the oncoming celebration of the 450 years Jubilee of Ignatian lay communities in 2013.